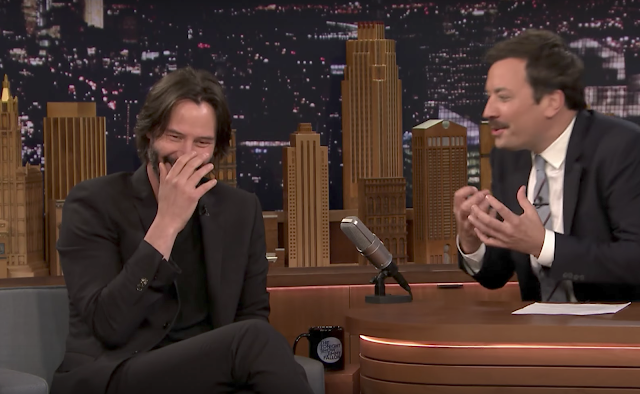 Chuck Spadina, er, ah, Keanu Reeves was recently a guest on Jimmy Fallon's Tonight Show. 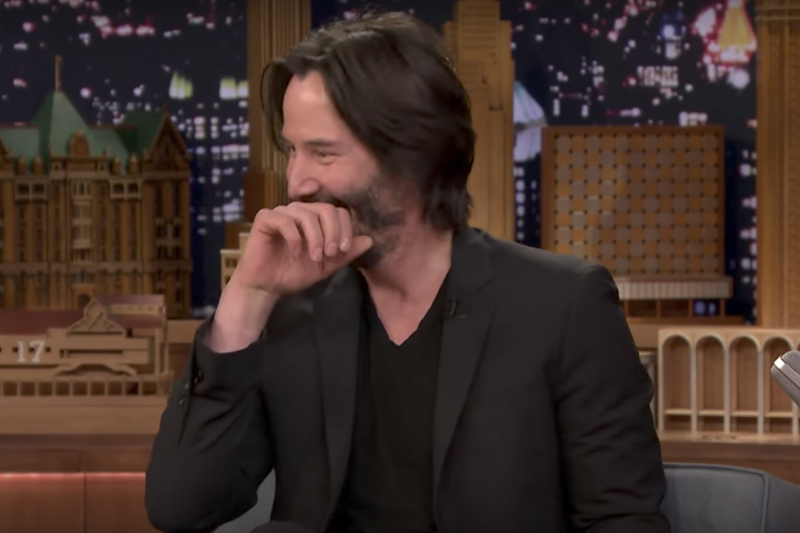 As with any accomplished actor, when they're not "in character" - e.g., when Keanu is just being Keanu - their body language betrays their true feelings - just like you, me, and the person down the street. One commonly overgeneralized and/or misunderstood nonverbal display is when a person covers their mouth while smiling and/or laughing. While there may be a component of embarrassment present - this is also a nonverbal tell that there are overall personality traits of both high sincerity and high empathy. In such cases, the smile is virtually always one of high sincerity as well (although the smile may often be partially suppressed) - AND there is blushing present. Summary: Covering one's mouth when there is a smile (or laughter) present is highly consistent with both high empathy and high sincerity quotients. People with pretentious, arrogant, and egocentric personalities rarely, if ever, display this gesture. This action is a valuable nonverbal tell which will help you foresee their behavior at other times - e.g., predicting overall personality traits - not just in that moment. Additionally, blushing always signals a sincere (Duchenne) smile - although it's commonly partially suppressed.